TiCl4 is a colorless fuming liquid with a pungent odor. Corrosive to metals and tissue. Very toxic by inhalation.It activates pyrrolidines for improved conversion, via a modified Bouveault reaction, to the corresponding α,α-dimethylamines. In manufacture of titanium pigments and metal, as a catalyst in organic syntheses, in iridescent glass, as a smoke screen Titanium tetrachloride suppliers titanium chlorine is used to make titanium metal, pigment titanium dioxide and is used in smoke screens. It is involved in the activation of pyrrolidines for better conversion through a modified Bouveault reaction, to the corresponding alpha, alpha -dimethylamines. In organometllic chemistry, Titanium tetrachloride suppliers titanium chlorine is used to prepare complexes like titanocene dichloride, which is a precursor to Ziegler-Natta catalysts. Tebbe`s reagent is an aluminum containing derivative of titanocene used for the olefination reactions. Looking for ideal 99.9percent Min Titanium Tetrachloride Manufacturer & supplier ? We have a wide selection at great prices to help you get creative. 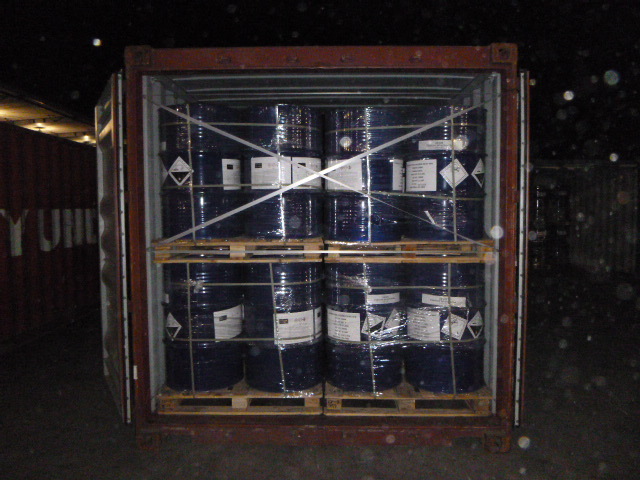 All the 99.9% Min Titanium Tetrachloride are quality guaranteed. We are China Origin Factory of 99.9percent Min Titanium Tetrachloride. If you have any question, please feel free to contact us.